Candy Crush advertises its Valentine’s themed game mode, added to Candy Crush Friends Saga in celebration of this year’s Valentine’s Day, in a new commercial. 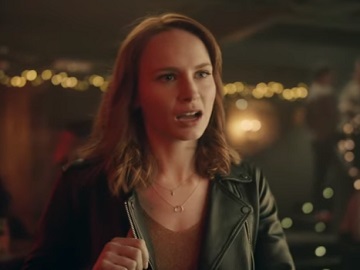 The spot, part of the “How to make Valentine’s Sweeter than Ever!” series, features a young man welcoming his date, Sarah, to a nice bar, where they were supposed to have a drink. The moment she walks in and greets him, she proves she doesn’t know his name, though. “Hey, Sean. Brad. I mean… Chad. Chad, of course,” she says, leaving the guy speechless. “You’re sure it’s not Chad?” she then asks, which makes him take out his phone and start playing the new Valentine’s Event in Candy Crush Friends. The Valentine’s Event is live now and ends on February 21st. Players will also find a new love-themed map and bespoke levels. They will be rewarded with an exclusive Nutcracker King of Hearts costume and a two-hour “Instant Charge” pre-game booster, which enables players to unlock their chosen characters’ powers more quickly. They will also be welcomed to a Star Chaser event and have the chance to win some tasty prizes such as a collectible Nutcracker Prince of Diamonds costume and a wrapped Lollipop Hammer. Candy Crush Friends wants to make this Valentine’s Day sweeter than ever and is also set to give some sweet treats. Participants must share a picture of how Candy Crush Friends is making their day “sweeter than ever”. The respective picture, which can be shared until 21st of February, must contain at least one heart (it can be handmade, printed, filter – depending on the participant’s preference). Extra points will be given if the World of Candy Crush Friends in integrated in the picture. The winners, announced on the 21st of February, will be showered with Gold and recognition. The one on the first place will get 100 Gold Bars, those on the second and third place 50 Gold Bars each, and those from the 4th to the 10th place 20 Gold bars each. In addition, the ten winners will all receive the exclusive title of Artist of the Community. Candy Crush is also celebrating “Me Time” this season by bringing you a singles-only eatery in New York City and offering you the chance to win a free ticket for divine 5-course tasting menu. What you need to do is post a photo or a video on the Candy Crush Friends Saga Fb page until 11th February 11am ET, explaining why you deserve to treat yourself, and tag it #SweetNSoloContest and #CandyCrushFriends. Candy Crush Friends Saga can be downloaded from App Store, Google Play Store and Amazon Appstore to your mobile device. Those who have a Windows 10 PC can download the app to their computer from Microsoft Store.